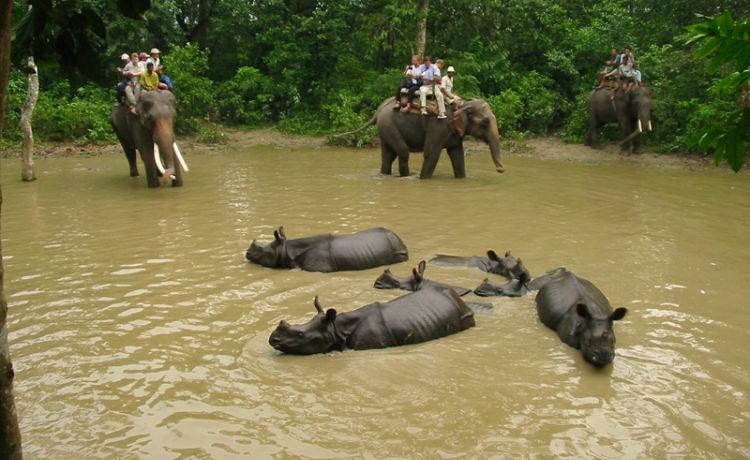 Royal Chitwan National Park is one of the UNESCO World Heritage Sites in Nepal. This is the well protected area, has its tested and proven conservation success story. 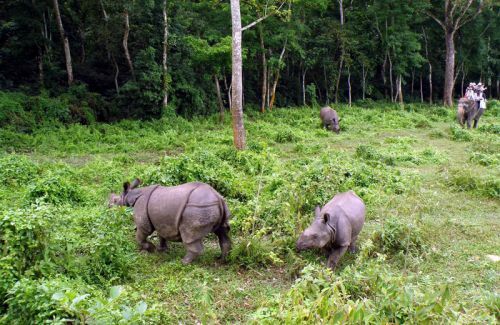 The area covers 932 square kilometers with its rich ecosystem and has been the great home for one horned rhino. The Royal Bengal Tiger, many species of birds and mammals, amphibians, reptiles and so on. The park has been bordered by two Rivers – Narayani and Rapti. Local and migratory birds from Siberia and the aquatic animals are the first attractions for the visitors. Chitwan National Park is the bird watchers’ paradise. Sharing the arboreal home with birds are other animals like rhesus monkey, grey languor, Python and other snakes. The predators are relying on like samba deer, barking deer, spotted deer, wild boar etc. The park is rich with many ox- bow lakes where one gets to see marsh crocodiles. The park also boasts about an endangered snouted gharial popularly known as Gangetic crocodile. The other attraction is one of the world’s fresh water dolphins in the Narayani River. Local Tharu culture, traditions and the way of life gives an essence of your visit. Their artistically decorated thatched huts, traditional type of house hold chores and Tharu songs and dances are worth experiencing at the same time. The Park has many historic and religious sites too. Devghat is one of the holy pilgrimage sites, situated at the confluence of the Kali Gandaki and the Trishuli Rivers. Day 01:Upon arrival in Chitwan, you will be offered the refreshments, given the briefing about the programs, rest for a while and gor for Tharu village tour and Sun set. 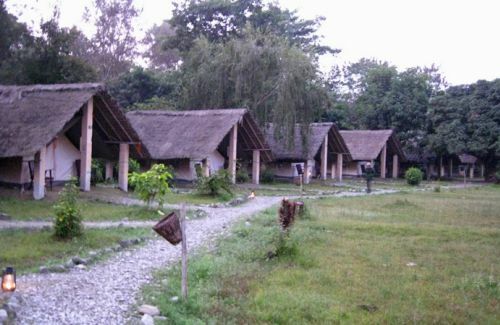 Day 02:Wakeup call in the morning, Canoe ride, Elephant Breeding Center and back to Hotel. After the Lunch, go for the Elephant ride. Tharu cultural dance in the evening. Day 03:Jungle walks nearby to see the birds in the morning, breakfast and proceed to your destination .